When using imap in mutt you have the possibility to use gpg to decrypt your password instead of having it as plaintext in your configuration file (.muttrc), see ArchWiki how to do that. However, if you consider using POP3, then you will also need to install and enable msmtp (not strictly needed), fetchmail and procmail. Ubuntu have created a quite nice guide of the steps involved. A common task for a developer has is to apply a patch in Git. I have a simple scheme that I've been using for a long time and it is very seldom that I get into problem nowadays when I'm doing patch work. When you have to read and write binary data using Perl, then you preferably use the built in functions pack and unpack. With the pack function you will create a string which will be different depending on what kind of template you provide to the pack function (the unpack does the same, but in the opposite direction). For an ongoing project I needed to retrieve webpages from my C-program and first I used sockets directly, but then I thought why not try use libcurl? If I could use libcurl and link it statically then I would get the good features from libcurl, but still could make my application stand alone. 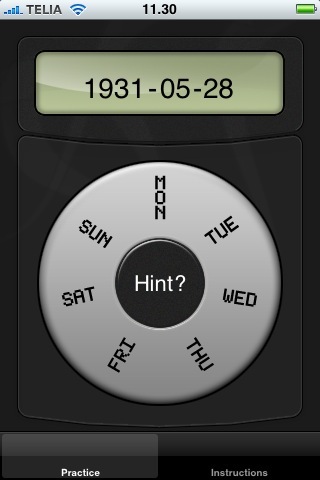 I just want to show an early screenshot of my coming iPhone application that I'm currently is writing. I do not want to say to much about what purpose it should fulfill, but it's kind of a maths / algorithm / practice application. Below is screenshot of how it (most likely) will look. As my first post on my new site I'll start by talking about Total Commander. I have been using this wonderful tools since I think I got my first PC. Back then it was called Windows Commander. So what is it that makes this tool so wonderful?